As a psychiatrist whose life’s work has focused on addressing major cultural issues, I’ve listened carefully to people’s attempts to make sense of recent terrorist attacks in Europe and the United States. While the best of thinking has addressed important aspects of what we have seen, a couple of key pieces are commonly left out. Each is essential to recognize if we are to respond intelligently—and wisely—to the fact of terrorism. Terrorism’s purpose is to make us fearful. It works because we are vulnerable to reacting to it in irrational ways. Appreciating these two factors helps us put terrorism in needed perspective. The first relates to terrorism’s cause; the second to accurately evaluating the dangers terrorism presents. Important aspects of terrorism’s cause—from how historic errors in Middle East foreign policy have inflamed conflict to the economic circumstances of refugees and disenfranchised populations—have been well articulated. But the most important contributor has been largely ignored. In part, this is for good reason. Emphasizing it easily leads to misinterpretation and responses that risk making the situation much worse. Confronting it also requires us to acknowledge complexities and uncertainties that are not comfortable to face. I’ve written in detail about how terrorism is something we should expect to see as globalization pushes together not just vastly different cultural beliefs, but beliefs that have their origins in different cultural stages. 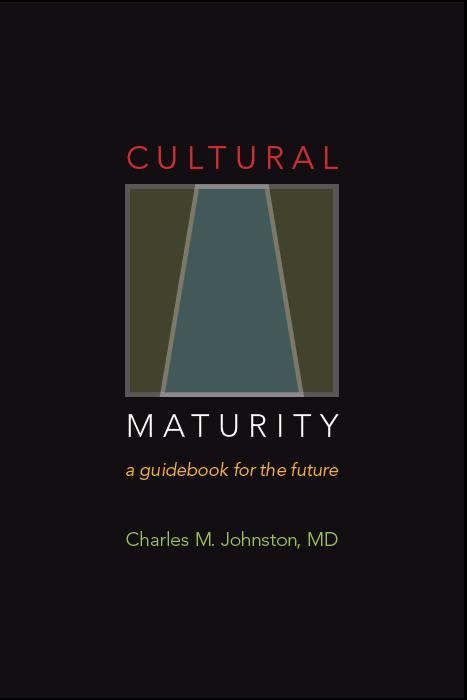 The idea that culture has developmental stages can be controversial, but at some level we get it. For example, our fascination with the Arab Spring reflected a recognition that people were attempting to engage a new chapter in their culture’s story. But it is also a kind of notion that can leave us vulnerable to dangerous misunderstanding. For example, at the beginning of the second Iraq War, many people assumed that those in the Middle East would naturally envy the ways of the modern West and thus be grateful for our intervention. In fact, more fundamentalist populations—and even many people of more moderate inclination—view the individualism and materialism that comes with modernity as a threat to what they hold most dear. At the radical extreme, what we perceive as advances are experienced as evil. These differences in worldview are not aberrations. They can be predicted from how cultures evolve, and are what we would expect to see as two specific, very different stages collide. The worldview of Islamic extremism has its roots in beliefs similar to those held in the early parts of the European Middle Ages. The political right often glimpses this recognition, but then badly misinterprets the implications, using it to demonize Islam. Such demonization is implied in the utterances of several current American Republican presidential candidates. A state representative from my stage of Washington put it more brazenly, declaring that “Islam is incompatible with Western civilization,” and calling Muslims “barbarians.” The potential for this kind of polarization and demonization is why many intelligent people, including many respected academics, shun the whole idea that culture might have developmental stages. But keeping this depth of difference at arm’s length, as the Left often does, can result in its own dangerous misunderstandings. It can leave us unable to fully appreciate the roots of conflict: that we are dealing not just with political, economic, or intellectual differences, but differences that are experienced as deeply moral, life-and-death concerns. It can also have us naively assume that we need only make our “more enlightened” views better understood and they will be embraced. We end up underestimating problems and engaging in policies that do little to create a safer world, and that often risk making matters worse. I’ve found myself particularly conscious lately of an especially uncomfortable implication of this evolutionary picture. President Obama has rightly emphasized patience and avoiding easy-answer solutions, but he has also reassured us that it is only a matter of time until ISIS is roundly defeated. His conclusion may be accurate. But it misses a larger reality essential to effectively addressing the terrorist threat. If terrorism is not just a product of the influence of ISIS—if both terrorism and the rise of groups like ISIS are products of the cultural dynamics I have described—then the defeat of ISIS, even if achieved, may have at best a temporary effect on terrorism. I think we need to be prepared to have terrorism be a part of our global reality for at least the next twenty to fifty years. A person could respond that in making this assertion I am only further inflaming fears, but my intent is exactly the opposite. It is essential that we face facts if we are to respond effectively—and often these are uncomfortable facts. When we do, we are better able to devise policies that work. The second often-missed piece is more directly consistent with hope, but it too stretches how we commonly think. It concerns accurately evaluating risk. I am not the first person to observe that we are many times more likely to be killed by a motorist talking on a cell phone than by a terrorist. The risk with too often indulging in Big Macs is also certainly greater. That I point out this irrationality is not at all to minimize the significance of terrorism. It is simply to observe that nothing we have seen, or likely will see, lives up to our fears. This is good news. But it becomes good news only if we accurately assess risk—which we rarely do with terrorism. The more primitive parts of our brains make images of danger all-consuming—a not inappropriate response if the danger is a saber-toothed tiger. With the media today bombarding us non-stop with violent images from every part of the world, it is easy for us to lose all sense of proportion. When we lose perspective, we risk playing right into terrorist’s hands. What can the big-picture perspective these observations reflect teach us about how to respond most intelligently to the threat of terrorism? I see effective response having three necessary ingredients. With each, the basic recognition is not original, but we can miss the way it requires us to bring a new kind of maturity to how we think and act. All three demand greater acceptance of complexity—including complexity that comes from cultural differences. All three also require a greater willingness to accept the fact of uncertainty, and very often real limits to what we can do. Each of these ingredients will be essential to addressing terrorism in helpful ways. Certainly we must do everything we can to stop acts of terrorism before they occur. This means giving greater attention to the importance of good information gathering, at home and in cooperation with others around the globe. It also means being ready and willing to attack those bent on harm, both in our own counties, and in other nations where terrorism may have its origins. We must not hesitate in such efforts—a fact that can make the Left uncomfortable. But the complexities inherent to such efforts makes them just as much a stretch for the Right. Intelligence gathering must necessarily be weighed against the individual freedoms lost. And attacks against potential terrorist threats must always be carried out with an awareness of how often such attacks, even when “successful,” can result, too, in more effective recruiting of radical elements. The next ingredient—working to alter beliefs that result in terrorism—requires even greater sophistication of perspective. Those who argue that the battle for “hearts and minds” will be ultimately more critical than direct intervention are correct. But what that “battle” necessarily entails changes fundamentally with the recognition that we are dealing with cultural realities that are different in the particularly deep sense that I have described. Communication must respect conflicting worldviews. And limits to what is possible must be acknowledged. We need to understand that attempts to convince proponents of terrorism that our way is superior will most often be doomed to failure. We also need to recognize that the most effective voices in this piece of the solution will not be those with well-established modern beliefs, but those who themselves have roots in the Islamic world. A final critical ingredient has to do more with ourselves than with those who might attack us. Historically, it has been in our human natures to divide our worlds into us and them, into “chosen people” and “evil others.” One of the most striking advances of our time is that we have begun to leave this historical need behind us. The care that most people took after the 9/11 attacks not to consider all Muslims to be terrorists was an example of this profound, and hugely consequential, step forward. The idea that terrorism will be with us for a long time ups the ante with regard to this essential new capacity. Along with the constant threat, terrorism presents what might seem a decidedly “unfair” situation. The differences we are dealing with make the situation inherently asymmetrical. Even if we avoid reacting in polar ways and making the Islamic world our enemy, there is no reason we should expect to get the same maturity of response in return. If we fail to accept this unpleasant fact, we risk acting in ways that could amplify the dangers considerably. Effectively addressing terrorism will require a degree of maturity and big-picture perspective that has rarely before been necessary. But without it, not only will we fail to provide effective day-to-day safety, our fears could very well lead to catastrophe—an outright war of civilizations is not out of the question. Our fears could also lead us to do the damage ourselves—have us turn free-world countries into police states and undermine exactly what is most precious about what we have created in modern times. None of these results is necessary. But to avoid such outcomes, we must accept that we live in a world that is asking more of us than in times past. International terrorism presents a major threat, and likely will for some time to come. But it is also the case that it could prove to be one of our time’s most essential teachers. 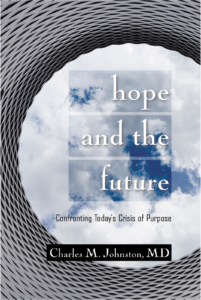 I’ve written about how a related greater capacity for maturity and big-picture perspective is becoming necessary in all parts of our lives. Not just our safety, but our human well-being more generally, will increasingly depend on it.